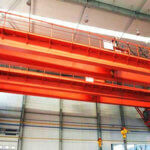 Electromagnetic Crane is a kind of lifting machine that uses electromagnetic principles to carry steel articles. 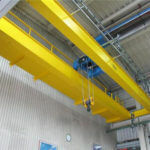 The main part of the electromagnetic crane is the magnet. Switch on the current, the electromagnet steel items to absorb, transport to the designated place. Cut off the current, the magnetism disappears, and the steel stuff comes down. 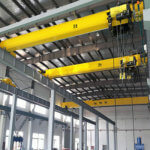 Electromagnetic crane is very convenient to use, but it must be used with the current. 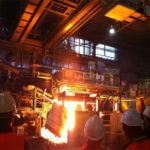 It can be used in waste steel recovery department and steelmaking workshop. 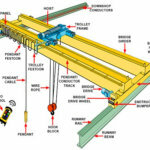 The device that uses electromagnets to carry steel materials is called an electromagnetic crane. 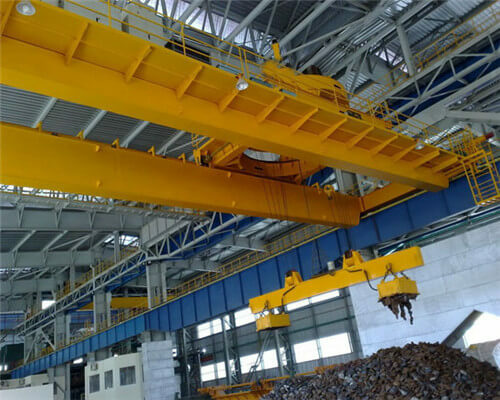 The electromagnetic lifting bridge crane can generate strong magnetic field force, tens of tons of heavy iron, iron wire, nails, scrap iron and other kinds of iron materials, cannot be packed or packaged, and can be easily collected and transported. It not only saves labor but also simplifies work. Steel materials and machines in wooden cases can be carried in the same way. 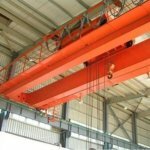 When the crane works, as long as the electric current in the electromagnetic iron wire does not stop, the weight that is sucked will not fall and the invisible magnetic force is more reliable than the solid chain. If for some reason, cut off electricity, it will cause accidents, so some electromagnetic crane is arranged on the steel claw, to lift heavy objects transported, sturdy steel claw will automatically fall down tightly clasped them. 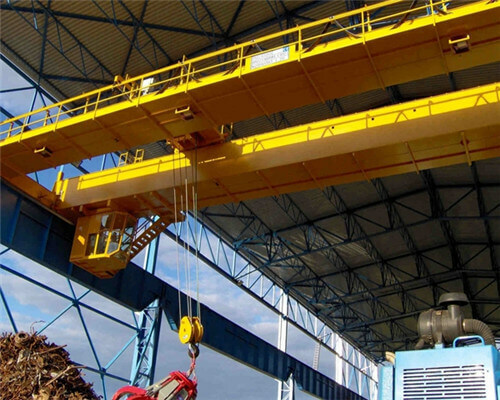 Block crane can’t carry hot because the steel cannot be magnetized at high temperature. 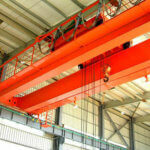 The electromagnetic crane can lift nearly 100 tons of weight in one stroke. The diameter of the electromagnet in the diagram is about 1.5 meters. It can bring up 16 tons of objects. 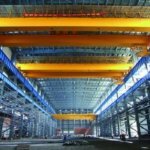 On February 21, 2008, the People’s Republic of China General Administration of quality supervision, inspection and Quarantine issued the “Crane Safety Technology Supervision Regulation – bridge crane“. The sixty-sixth electromagnetic crane’s lifting electromagnet shall be powered by a special circuit. Electromagnetic hoist should be able to guarantee the power supply of electromagnetic hoist when it loses electricity when it works. 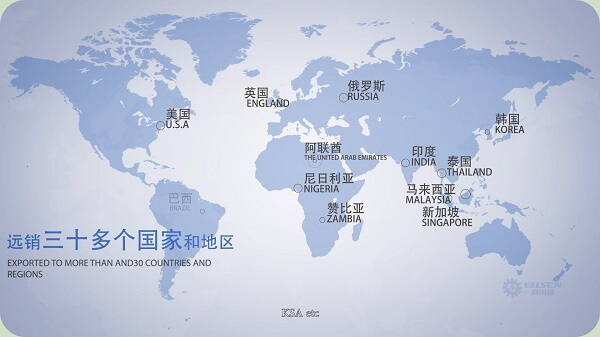 Any detailed information you want to know about this kind of electromagnetic crane, welcome to contact us.